A former director of the UK’s largest childcare charity yesterday admitted vulnerable youngsters looked after by its staff had faced an ‘inherent risk’ of abuse. 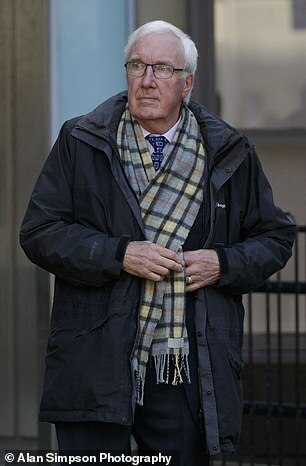 John Rea, 74, who was a divisional director of Barnardo’s in Scotland for 15 years, was questioned about what was done to keep children safe from paedophiles. He told the Scottish Child Abuse Inquiry (SCAI) he was unaware of the term ‘risk assessment’ while he was in a senior role in Scotland from 1976. The inquiry has heard of a practice where a Barnardo’s residential care worker would stay awake overnight, while a colleague slept. Inquiry senior counsel James Peoples, QC, said this meant the staff member effectively ‘had the run of the place’ and was unsupervised overnight. But Mr Rea argued that ‘if a member of staff is inclined to abuse, it can happen in so many different ways’ – for example if they were driving a child ‘on a lonely road’ to a medical appointment or a sporting activity. He said there was ‘no cast-iron guarantee’ against child abuse for people who are determined to cause harm. Mr Rea said that in the mid-1980s a Barnardo’s residential childcare worker was suspended and ultimately dismissed after allegations of sexual abuse. Later Mr Rea saw the man working as a baggage handler at Edinburgh Airport and was relieved he was no longer involved in childcare. He stressed that the sexual abuser had worked at Tyneholme, at Pencaitland in East Lothian, for only a ‘couple of years’. But SCAI chairman Lady Smith said this still meant he had had access to children for ‘600 days’, allowing for holidays. Mr Rea conceded that ‘all sorts of abuse could have happened in that time’. He said one of his assistant directors had investigated a carer at Tyneholme who was likely to have abused children and had lied about his credentials to get the job. Asked if there had been any mandatory training of childcare staff, Mr Rea said ‘No’, and added he did not believe the idea had been discussed – there was instead a culture of people learning ‘on the job’. He was also asked about an alleged abuser, who cannot be named for legal reasons, who would take children in his care at Glasclune House in North Berwick to his parents’ home. Mr Rea said he could remember the man but he did not support the idea of children being taken to staff members’ homes as it was unnecessary and inappropriate. He told the hearing in Edinburgh he could not ‘recall any specific policy guidelines [about staff not taking children home] but it’s so basic that I would have hoped it was generally accepted by people in positions of responsibility’. In November the inquiry heard that a boy of 12 was raped by his male carer after a ‘grooming’ campaign that left him ‘petrified’. 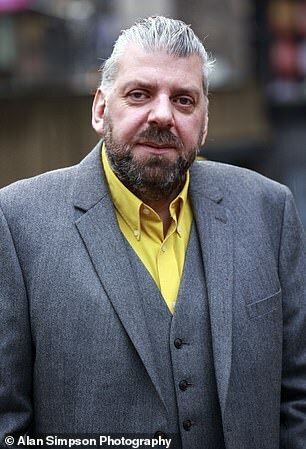 Killian Steele, 54, a former resident at Glasclune, claimed the charity had issued ‘reprimands’ to the man who had abused him after suspicions were raised – but let him stay on. The SCAI is investigating claims of abuse by children in the care of Barnardo’s, Quarriers and the Aberlour Child Care Trust.